Yes, I know, you may say it is a dessert… Well, while enjoying fruits for breakfast or before a meal, we can find a much more creative way to savour these fruits, adding our favourite tiny pleasure, chocolate or cocoa. Eating fruits before your meal helps to sustain a healthy diet, but also helps your digestive system. 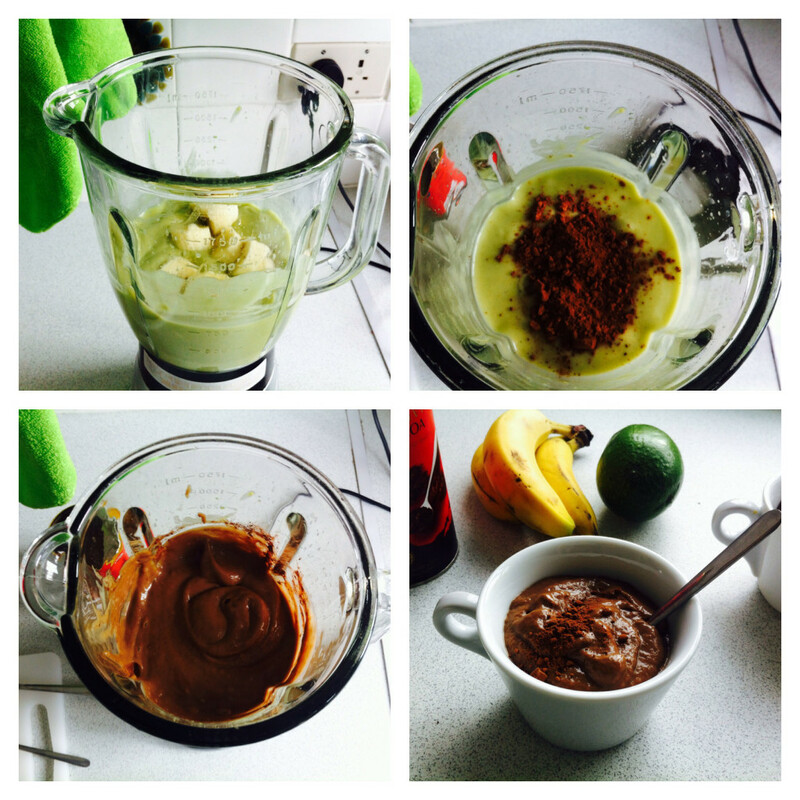 Mix the ingredients together in a blender or in a food processor. First add the avocado. If you are using a blender you may need to add some water, while using a food processor it will be more solid. 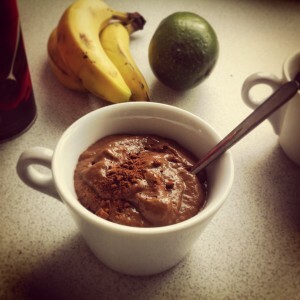 Once you made the avocado cream, add gradually the banana slices and when you have a perfect mixture, just add the cocoa. You can add less or more cocoa, depending on your taste preferences. Also, you may add some hydrated dates or figs (soaked in water for about 2 hours) to make it sweeter… or you can add whatever you like and fits. Just be creative and do not forget to prepare it with LOVE. It will be much tastier. “I won’t judge, lest I be judged for the dubious food choices I make all the time, but I will point out that food is culture. When we eat, we ingest the physical world, accepting into our bodies the customs and values and politics of the system that got that food into our mouths.” David Tracey in “Urban Agricultures, Ideas and Designs for the New Food Revolution”.